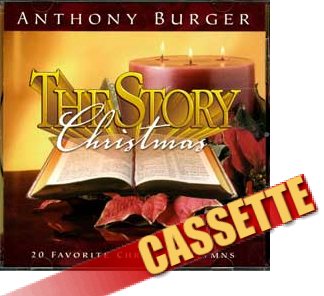 If you enjoyed "The Story" you will love this project from Anthony Burger. It is a beautiful arrangement of some very special Christmas songs that will help you celebrate Jesus's birth all year long. This is truly a worshipful way to celebrate Christmas. Including: Emmanuel----Ave Maria----O Little Town of Bethlehem----Silent Night----Away In A Manger----O Holy Night----Joy To the World----What Child Is This?----The First Noel-----Do You Hear What I Hear?----Hark!The Herald Angels Sing----We Three Kings----Go Tell It On the Mountain----Let There Be Peace On Earth----and more!